Back from last year’s hit classical concert “Songs from a Silver World,” the talented scholars of Klassikal Music Foundation (KMF) are set to put a grand twist on some of the most enjoyable songs ever written in Klassikal Music Foundation presents: One with the Stars, KMF’s 10th anniversary musical extravaganza. Founded in 2007 by McDonald’s Philippines Founder and Chairman Dr. George T. Yang, KMF is a scholarship fund that provides assistance to deserving students who are financially incapable of pushing through with costly music degrees. By doing so, this brings these wunderkinds closer to their dreams. 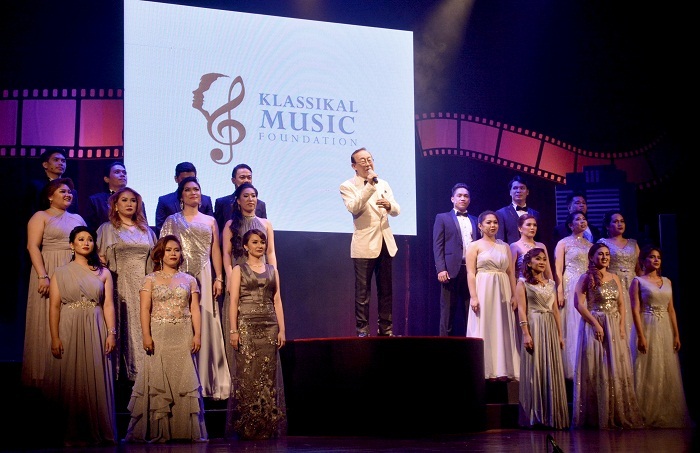 The KMF scholars will delight guests with their heavenly voices together with the Foundation’s founder himself. 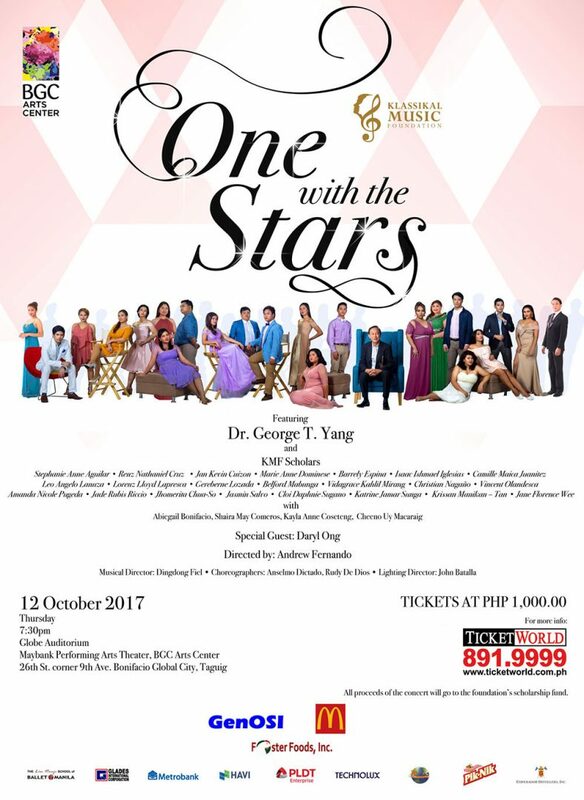 Dr. Yang, recognized as one of the Philippines’ most sought-after tenors, is set to perform a special number during the show. “One With the Stars” is a concert that promises to be unlike any other. The young vocalists taking the stage that night are regarded as some of the best of their generation. With KMF’s help, they perfected their skills through training with the finest voice teachers from the top local conservatories. Now, they are ready to take on the world. 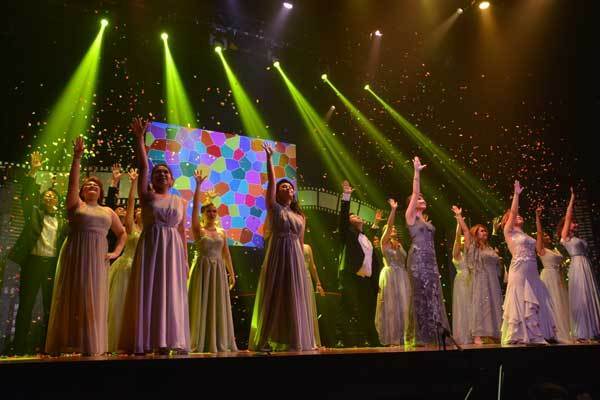 “One With the Stars” is broken into six segments and directed by International Filipino baritone and Musical Theater Director Andrew Fernando, with musical direction by Dingdong Fiel, choreography by Rudy De Dios and Anselmo Dictado of Ballet Manila, and lighting design by John Batalla. KMF Board Members include Dr. Yang, Dr. Raul Sunico, Lily Monteverde, Rachelle Gerodias-Park, Gerard Salonga, and Dr. Raul Navarro. The showcase will be held on October 12 (Thursday) 7PM at the Globe Auditorium, Maybank Performing Arts Theater, Bonifacio Global City, Taguig. All proceeds go to the scholarship fund. Don’t get left behind! Order tickets now for Php1000 at Ticketworld. For ticket inquiries, please call (02) 891-9999 or (02) 891-5634. You may also contact their mobile hotlines at +639175506997 or +639999545922 or visit their website at ticketworld.com.ph. I’m sure this will be a one of a kind experience. Get your tickets now and support a great cause!